Take a look at our recent publications from HammondCare Media. 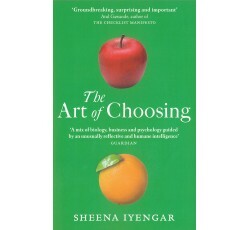 The Art of Choosing by Sheena Iyengar helps us understand the small and major choices we make every day such as Coke or Pepsi? Save or spend? Stay or go? Whether mundane or life-altering, these choices define us and shape our lives. Increasingly, choice is championed in health and aged care but how do we support the vulnerable to carry the burden of choice? Is the desire for choice innate or bound by culture? Why do we sometimes choose against our best interests? How much control do we really have over what we choose? Sheena's award-winning research reveals that the answers are surprising and profound. In our world of shifting political and cultural forces, technological revolution, and interconnected commerce, our decisions have far-reaching consequences. Use this book as your companion and guide for the many challenges ahead. 'No one asks better questions, or comes up with more intriguing answers.' Malcolm Gladwell, author of The tipping point. © 2019 HammondCare All rights reserved.